It's day 9 of our Blog Hop. I hope you have all had fun following the Blog Hop and the many ways you can use the Quick Curve Ruler. Today we have two blogs for you to visit! The first one is Melissa@msmidge I've been following her Metro Twist progress on Instagram. I love how her quilt turned out! Her fabric selection is lovely and I love the background fabric she chose to go with! Go over to Melissa's post to see more pictures of her beautiful quilt! 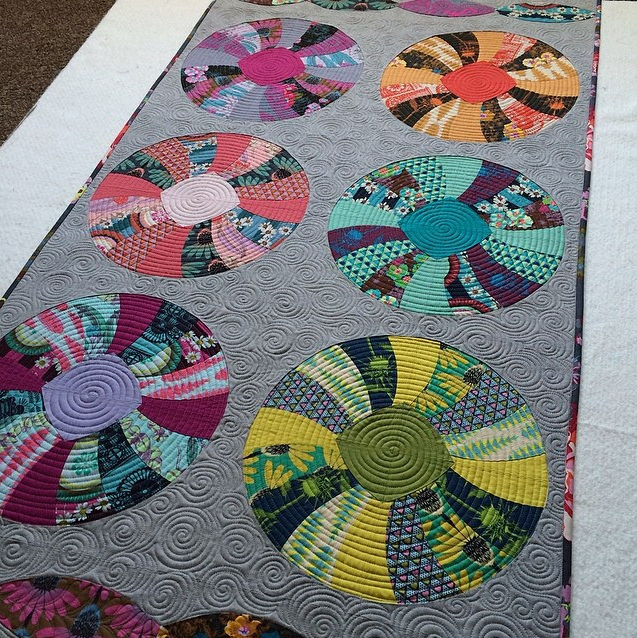 Lucy@lucymade did up a beautiful Metro Medallion block! Love the colors she chose!! She has a really good post today on how she made this block up, go check it out! 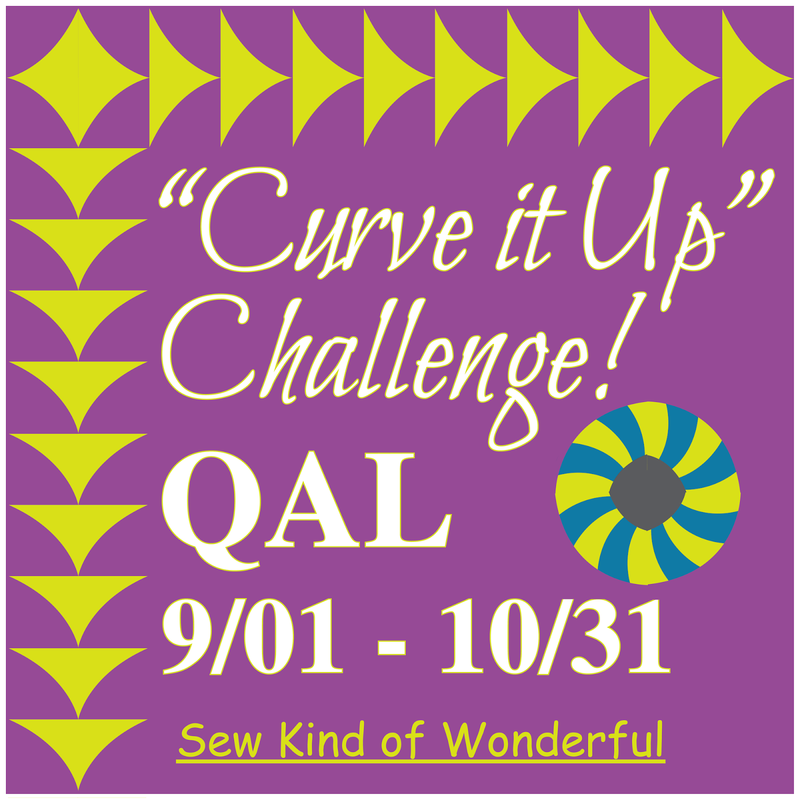 Now for the Curve it Up Challenge QAL! If you are planning on participating in our QAL, remember to add our QAL button to your blog or website! *The QAL starts this coming Tuesday, September 2nd and will go for 6 weeks, ending on Friday, October 10th. *We will check in with you weekly and will have some fun Giveaway's throughout! 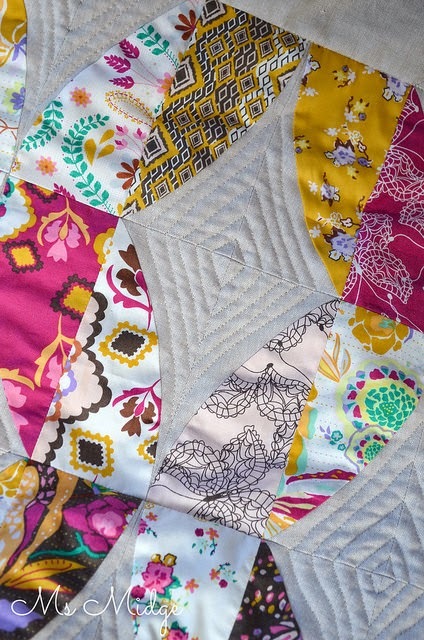 *We will end with a linky party for everyone to show off their quilts! Now for the Challenge part of it! You can see how she mixed all her blocks up. Many of the Curve it Up blocks have 4 parts. You can easily separate those blocks and use them to fill in other spaces. Mathematically it will work!! Option 2 Using only one or two blocks create your own design. Here are 3 samples showing how fun it can be to come up with your own design. This is the Curve it Up Log Cabin block. 1 part of the block, repeated, then set on point. 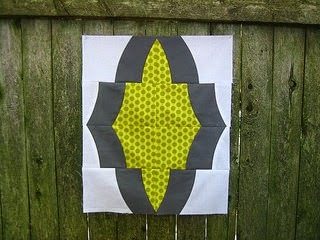 This quilt uses 4 Curve it Up Star blocks and the Curve it Up Curvy Geese blocks for the border. 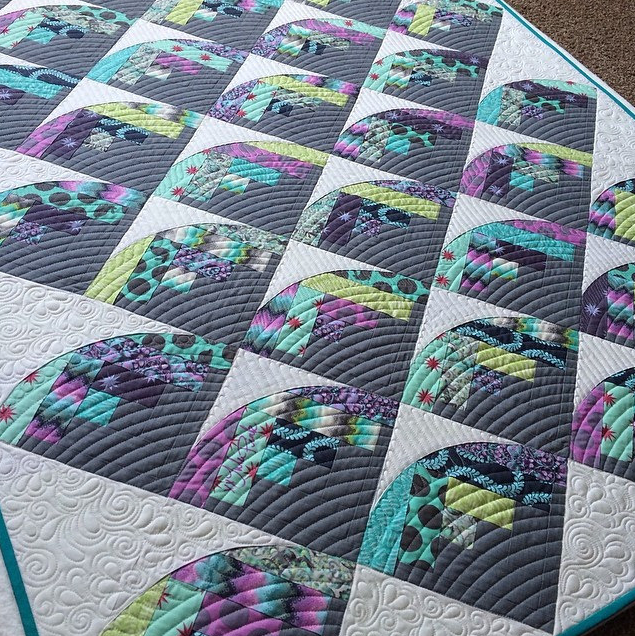 This quilt uses 6 Curve it Up Dresdens and one of the Curve it Up Sashings to create a border on the top and bottom of the quilt. Option 3 Anything go's!! Basically if your mind can think it then this is the option for you!! Are you getting excited yet?? We are!! I (Jenny) will be making my own Curve it Up Challenge quilt right along side of you all and sharing my progress as we go along. If you have any question, let us know. Tomorrow is the last day of the Blog Hop....great giveaway....and a linky party here on our blog for you to show off your own Quick Curve Ruler Quilts! !